Details of future and past CMU:DIY sessions are given below. You can also download all the slides we presented at past sessions. 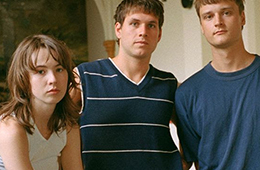 CMU:DIY will present sessions at Wide Days 2019 putting the spotlight on building a fanbase and why artists and songwriters don’t always get paid. CMU:DIY teams up with Cultivator to present a half-day session on building a fanbase. Which social media matter, what kind of content should you create, what can you do with the analytics and when is the right time to reach out to media? And as your fanbase grows, what do you need to do to build a direct-to-fan business? 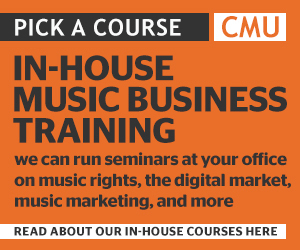 CMU:DIY teamed up with Cultivator to present a half-day session looking at music rights and the streaming music market. CLICK HERE to download the slides we presented. CMU:DIY teamed up with EMDA to present an afternoon of conversations about the business of music in Chelmsford and Colchester in spring 2019. CMU:DIY teamed up with Cultivator to present a half-day session looking at how artists can make money from their music. CMU:DIY presented three sessions at Wide Days in Edinburgh in April 2018. CMU:DIY teamed up with EMDA to present an afternoon of conversations about the business of music in Chelmsford in February 2018.